“Female genital mutilation (FGM) is a real issue affecting a growing number of women and girls in the Los Angeles area. Inspired by New York City’s FGM task force, several grassroots organizations, community members, and an interfaith group partnered with government agencies to work together in advocating to end FGM and other harmful traditional practices in the Los Angeles area. Our aim is to educate the communities where girls are at risk, including breaking the silence on FGM by including all family members, especially men and boys who are not aware of the effects of this practice. Addressing FGM in its cultural context, and as a violation of human rights, continues to be critical in order to protect the young girls and women who may be at risk. Local politicians and state senators have expressed interest in collaborating with our FGM task force and together we plan to expand our outreach. With more states taking action after the federal ban on FGM was ruled unconstitutional by the Michigan judge, the urgency of raising awareness in the United States about the risks of FGM is paramount. The goals of the FGM Task Force LA include the four ‘Ps’ – Partnership with community, youth, NGOs, and government agencies, Prevention through education, outreach and advocacy, Protection through victim assistance, connecting victims effectively to culturally appropriate resources, including legal access and Prosecution by assisting law enforcement. The efforts of anti-FGM advocates have been supported by SI clubs in the Camino Real Region for the past decade. 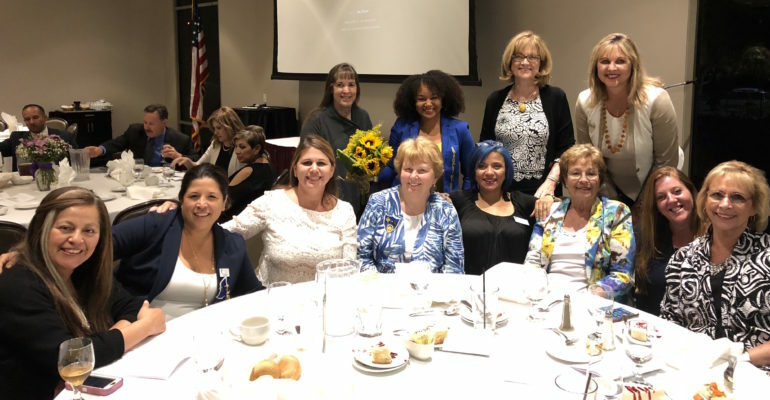 Offering a platform to help raise awareness, break the silence on this human rights violation and take action to protect and educate girls at risk situates Soroptimists at the core of the efforts upon which the FGM Taskforce in Los Angeles is building its partnerships. Effective collaboration with community organizations working to protect and educate girls and women is the first important step to breaking the silence on FGM and developing strategies to end violence against women”.